We are still here – But need some help! We are still here – But need some help! published on May 23, 2013 Read more posts by the author of We are still here – But need some help!, admin1 Comment on We are still here – But need some help! Hey all our wonderful fans! Is the summer treating you well? We just want you to know we are both working really hard on the next chapter. (I bet some of you have seen Mirjams Work in progress-photos on Tumblr) But also some other stuff. Like a new header for the website, a page with information about all kinds of dinosaurs that you see in the comic, avatars and desktop backgrounds. Oh, btw. You might notice the website looks a bit weird currently? Well, that is because I wanted to poke the code a little bit. But don’t worry! It will look great again soon. Lately we have been getting a lot of traffic to this site. Which means that our server have been taking a bounding. So I (Tomb) have to raise the resources limit. = It costs more and more money to keep this site up without a lot of downtime. So we have a favor to ask. 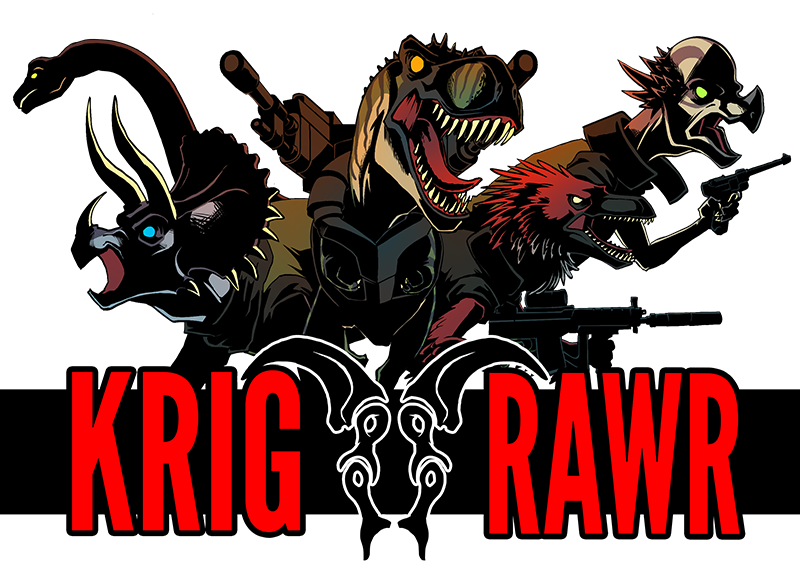 Do anyone feel like donating some money that will help us host Krig RAWR? Anything helps to keep the site running. Thank you in advance. Thanks you in advance and now we will go back to keep working on this site and the comic!